I stood at my desk all day for the first time a couple of weeks ago and despite my body protesting initially, by the end of the day I felt awesome. My legs were tired, my feet were surprisingly very achey, and I had that satisfying rumble in my belly that I get from working out first thing. My flexible sit-stand desk arrived this month and I’m not gonna lie, it’s pretty brilliant. After years of faffing about with boxes for makeshift standing desks, I’ve finally got my own proper set up thanks to Varidesk! Those who’ve worked with me before will understand the significance of this moment. I don’t know if it’s just me, (please tell me it isn’t?! ), but every marathon cycle, and basically whenever I’m training a lot, sitting down for eight hours a day physically HURTS. As in literally pains me. My hips hate it. My hamstrings hate it. My glutes hate it. It’s literally a pain in the arse. I need to stand up at regular intervals to avoid seizing up. Stop – drop – pigeon pose has occurred on various office chairs and floors throughout my office working career, as I dream of a lunchtime run or yoga to energise and unwind my tangled body. I like to think I’m pretty fit and healthy. I exercise regularly, try to eat well most of the time (ish), and when aiming for a big goal like the marathon I try to prioritise my sleep, rest and recovery. My marathon training hasn’t gone wholly to plan this year and I’m carrying a bit of extra weight but let’s be honest – even if I’m running the prescribed three or four times per week and strength training once or twice a week – that’s still at most one or two hours a day of activity, apart from the long run of anything between two to three and a bit hours. And then there’s lunchtimes. If you work in an office, what do you do on your lunch breaks? I know when I’m busy I basically move from one desk to another from the office to the cafe upstairs and sit to eat before going back down to sit again until hometime. Eight out of 10 say they have a daily afternoon dip and to escape this, 66% of workers reach for coffee, 42% eat chocolate and 10% even admit to taking a nap while at work. To be fair, I’m right there on the coffee and chocolate but not sure I’d get away with a nap – what sort of career witchcraft is this?? Experts agree that a run break (or runch) is a much better alternative to any of these options, and I have to admit, as much as I love a morning workout to kickstart my day, on the few occasions where I’ve been organised enough to grab a lunchtime run, it’s always been the best kind of fuel for a productive and energised afternoon. 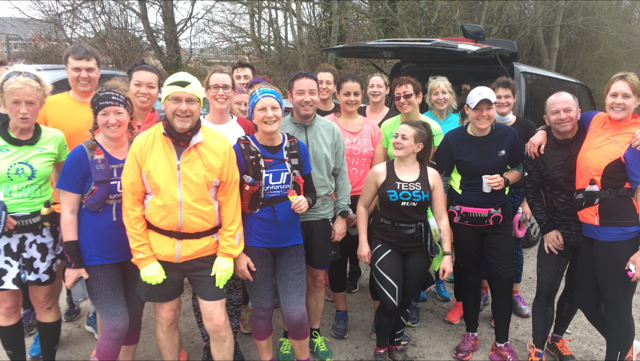 Brooks realise the challenges to beat the afternoon slump and get out for a run break, so have teamed up with personal trainers across the country to help people get up, out and running during the working day. I’ll be the first one to shout about the virtues of a good run in changing my mood, however tired I am, and ironically when we’re at our most tired is probably the time when a lovely 30min run in the open air will do us the most good. 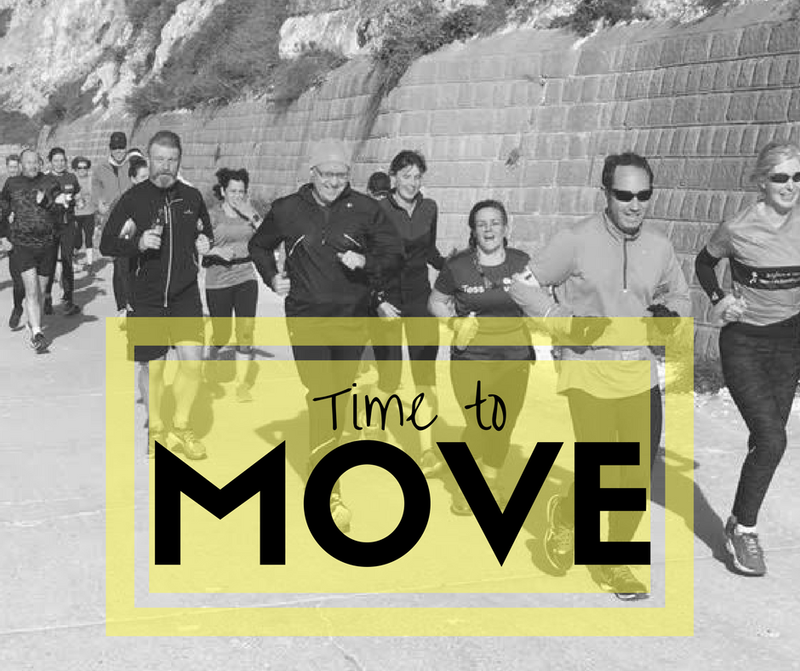 It doesn’t matter how busy we are, we should always make time to get away from our desk and get outside – whether that’s a run or walk. Something I’ve been working on this last few weeks as much as I can. To get maximum benefit from your run, why not do some intervals for your 30-40 mins session rather than just a steady pace? Another way to increase the intensity of your lunchtime run and help save time is to set yourself certain goals on your lunchtime training run. 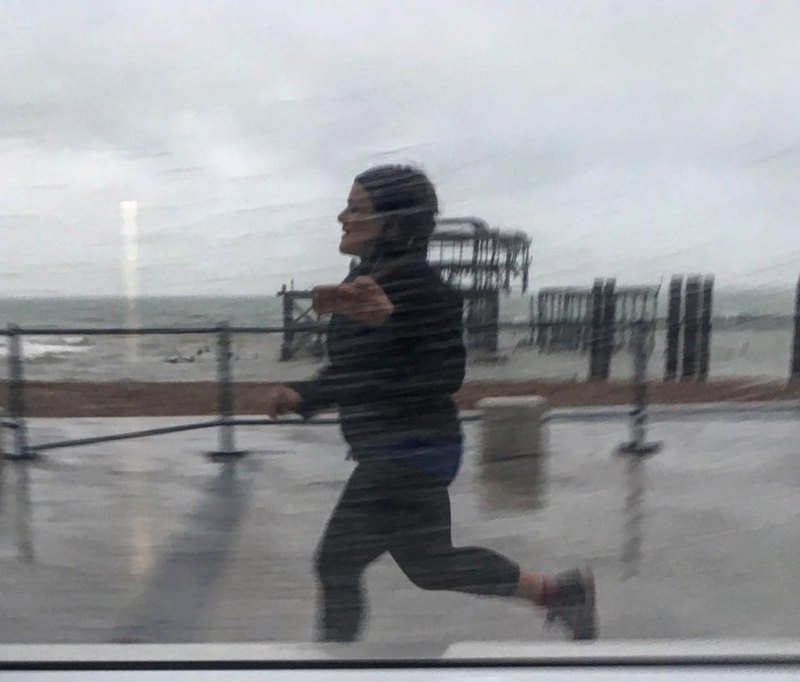 For example, if you run in a park, set yourself a time limit of 30minutes, then the goal of sprinting to one bench, then jog to the next one. Over time, see if you can beat the number of benches you run past in the 30 minutes. If you do head out for a runch this month, maybe check out the latest Brooks release, the Ravenna 8, designed to put more spring in every step with dynamic responsive cushioning and an updated design. I’ve yet to try these as I’ve been running in the Ghosts and Glycerins, but will be giving them a go at the Brooks Run Signature Tour when it comes to Brighton next Saturday. The tour is back with 15 locations across the country so if you fancy a free gait analysis and run in the latest pair of Brooks shoes to see if they’re for you, find your nearest one and book in. Thanks to Brooks Running for sharing research to input into this post. 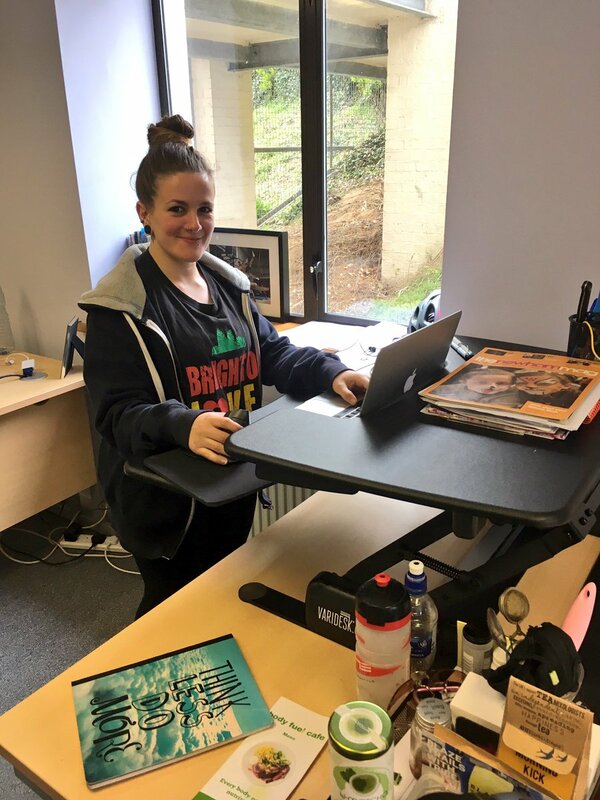 Thanks also to Varidesk for sending me a standing desk to review – I’ll write more about this soon, lots to tell you about my new favourite way to work!! Have you tried a standing desk? 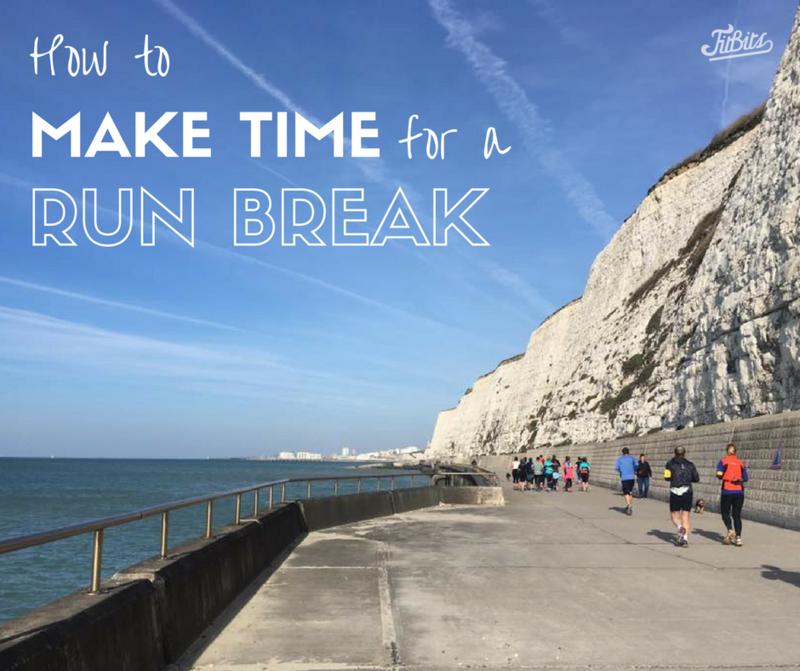 Do you treat yourself to regular lunchtime run breaks?